Sir Alex Ferguson was "upset" with the way Manchester United handled the dismissal of manager David Moyes. Sir Alex Ferguson has broken his silence over David Moyes’ sacking at Manchester United, admitting it was "upsetting" the way it was handled. Moyes was axed as United manager on Tuesday morning 24 hours after news first emerged that the former Everton boss was set to lose his job at Old Trafford. The Scot, who only signed a six-year contract last summer, was reported to be furious to find his future the subject of widespread speculation before being informed by anyone at the club. The League Managers Association have now been called in to sort out Moyes’ severance settlement after his brief stint at the helm was brought to an abrupt halt. 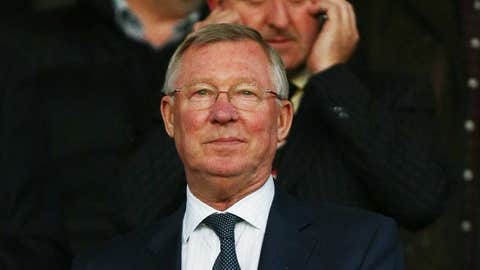 Ferguson, who played a big part in choosing Moyes as his successor, admitted it was wrong that the news leaked out before Moyes was officially told of his fate by United chief executive Edward Woodward. Speaking at a charity lunch in Manchester on Thursday, Ferguson is quoted as saying in The Times: "It’s upsetting the way it came out." 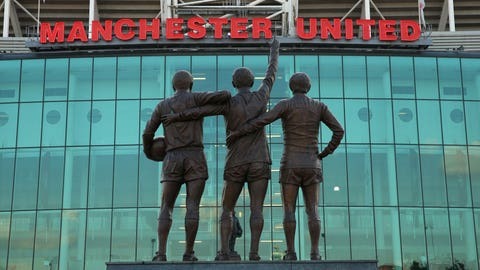 Sky Sports News has learned that Manchester United acted within stock market rules over the departure of Moyes. It is understood that the club did not break any rules on the New York Stock Exchange (NYSE) and it is not under any investigation. The club made a media announcement of Moyes’ departure before the NYSE opened for trading on Tuesday. Ryan Giggs, who was on Moyes’ coaching staff, has been named interim manager until a new boss is found and he will take charge for the first time for this weekend’s home clash with Norwich City. A whole host of names have been linked with the vacancy at Old Trafford with Holland coach Louis van Gaal and Real Madrid chief Carlo Ancelotti the early front-runners. Juventus coach Antonio Conte is the latest name to be credited with an interest in the role, while Borussia Dortmund’s Jurgen Klopp has ruled himself out of running. "I really do think that Manchester United is a great club, but it is also the case that as long as things continue to go as they are here, then I have a clear agreement with Borussia Dortmund. "Therefore it cannot have anything to do with the greatness of a team, even if there were to be an offer. "And to react to this is a bit uncomfortable when there has not been an offer, so to reject it before an offer comes is personally embarrassing for me."